From sports betting to slot games - Freddy's on the up. (Over 18s Only). 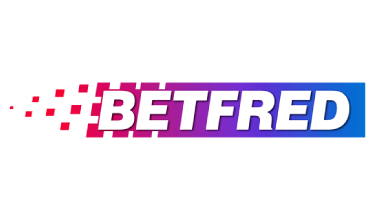 Betfred Casino is part of the wider Betfred multi-game site, encompassing sports betting, poker, lotto and more. Nevertheless, this self-operated site is a huge name in the UK, growing from a series of high street betting shops. Betfred has a lot of clout, so you can expect high quality games and plenty of them. Will Fred be your new best friend? The Betfred Casino site uses a rich blue theme and has a top navigation bar for nipping around the various sections. Because this site covers a bit of everything, it lacks somewhat in terms of theming, but is nevertheless very high quality. The slots section is given some flavour by a changing background image from the current slot of the week, so this adds a dash of colour. The site is pretty easy to use, when you focus on the sub-menu for your current section. Text could stand to be bigger and perhaps friendlier, but overall the site is fine. There is a live chat quick link at the bottom left of the main Betfred site, which is handy. Otherwise, look for Contact Us at the site base. This reveals a plethora of contact options- email, live chat, post and phone. Each of these has several sub-options depending on your region and the nature of your problem, so you should get a better response as a result. The team are well trained and professional here as you’d expect from such as large company. You also have a very thorough FAQ area, neatly sorted by categories. There’s a fair mixture of promotions at Betfred Casino, with their own artwork, however because the site is shared with other betting types, you might only get a couple relating to slots or table games at any time. They have a nice offer where you get 25 free spins for staking £5, with new offers cycling in quite often. The welcome bonus for casino players is a straightforward 100% match up to £100. This can be claimed on a small £5 deposit. There are second and third deposit options too, with a pretty standard 40x wagering requirement. Alternatively, high rollers can jump straight in with a £500 bonus on an initial deposit of £1000. This carries the same requirement. Betfred Casino gives the option of downloading software too, but it’s pretty true to the main site and only really useful if you like to be focussed when playing, or are trying to reduce data usage. When launching a game, you can optionally ask to get regular ‘reality checks’, a great way to avoid problem gambling. Slots run in small windows without any special Betfred overlay. Betfred operate their own live dealer games via Playtech, which run pretty well indeed, though we initially had flash plugin issues with all games. The downside to this site is that it could be easier to search the games; they are split between Casino and Games sections and this can be annoying. The Betfred Casino site is very forthcoming with information about their mobile offerings and helps you find them, which is great for new players. There is an app available for iOS devices, which gives access to over 13 casino games and all the perks of the main site, such as support and account pages. There is also a mobile site, which you can easily visit on your phone or tablet browser, on Android and Apple. You can even request a link for this via text. The vast majority of the slots selection is available and it works like a charm. Since this mobile view excludes other forms of betting, it’s arguably easier to follow. Betfred Casino is fully licensed and regulated by the UK Gambling Commission. This is a brand with decades of experience and a great reputation, starting from a single betting shop in 1967! Though the main site does not have a secure certificate, your money security is provided by Trustwave and this can be checked on the site. They also provide responsible gaming tools and controls to fight problem gambling. Betfred Casino has a lot to offer, as not only do you have the choice of checking out poker, bingo and other offerings, but the slots are pretty broad too. The site has a mixture of developers, such as Microgaming, Big Cat and Ash Gaming. There are over 150 slots, with several jackpot games. Monopoly Big Event is one of the latest, from SG Interactive. Five live dealer games and almost 40 other card and table games enhance the selection. There isn’t really anything missing on this site. Depositing is very easy at Betfred Casino thanks to a simple on-page cashier, where you pick from a series of icons. Withdrawing starts at £5 for most methods and shouldn’t take over the average 5 working days to arrive. This site accepts several payment methods. Cards include MasterCard, Visa, Maestro and Visa Electron. E-wallets include Neteller, Skrill and importantly PayPal. You also have bacs transfer and PaySafeCard, so this is a great selection. There is a detailed VIP system at Betfred Casino, as you’d expect from a larger site. This is split into sports and other gaming. VIP players gain access to a dedicated team and account manager, exclusive event invites, special promotions and faster withdrawals, among other goodies. The rewards look good but appear to be invite only. A good reason to stick around. Everyday players can also gain loyalty points from wagering, which can later be converted back to credit. You earn 5 points for £1 wagered, but must diving your total by 4,000 to see what you get (ie, 20,000 points ÷ 4000 = £5). Betfred Casino is certainly one of the top casino sites out there. Though the content is blurred somewhat with general gambling, this isn’t much of a bother for most players. You won’t see a strong theme and some parts of the site might not apply to you, but you get plenty of games to try out. Dedicated fans may want a dedicated site, but overall there’s a lot of quality here. Have you played at Betfred Casino? Leave a review and share your experience with thousands of other players. Never miss out on the latest news and offers. Favourite Betfred Casino today!